Similar to the Ghoul Rats in Zelda: Twilight Princess, the Scarabs can only be found in the Arbiter’s Ground Dungeon and are slowing down Link to make him more vulnerable to other enemies. They are more an obstacle than real enemies and can easily be defeated with a spin attack. 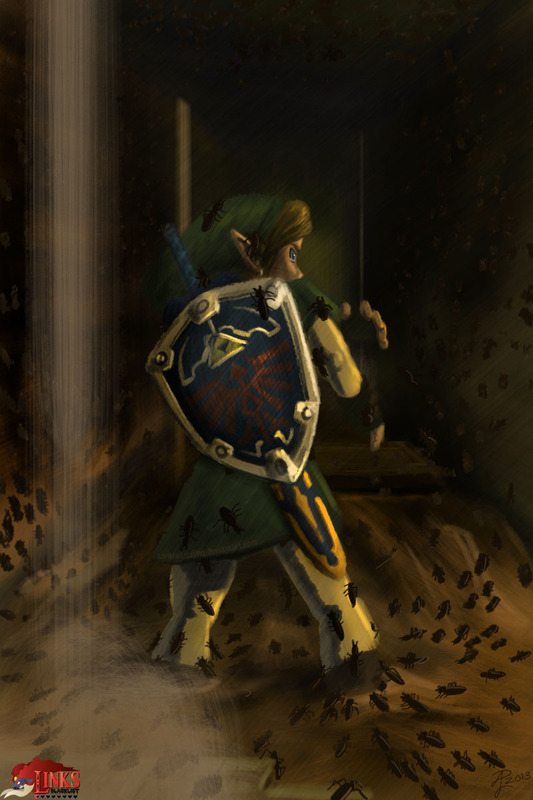 The illustration of these minor foes was drawn by Contraltissimo from the USA as part of the third round of Link’s Blacklist in July 2013. “I watched my brother play through this dungeon once. He had one encounter with these little guys and just couldn’t get enough. He was determined to complete the dungeon with at least one of the critters still on him. In the end he did not succeed, but his efforts were beyond valiant.